Brain training games seem to be everywhere, offering you the opportunity to boost your brain power by spending a bit of time playing every day. If you are interested in giving brain training a try, you have a dizzying array of options. When searching for the right brain training program, you want something with a variety of games that challenge you. To keep up with your new brain training habit, you will also want games that are easy to fit into your schedule and motivate you to keep playing. You also want an app that tracks your progress as you play, so you can see whether you are actually improving. If you are the one who need all that, you are at the right place. Guys! We are here with a surprising game app, 63 - Find Sixty-Three Numbers. Why it is good choice? 63 - Find Sixty-Three Numbers is puzzle game app designed to enhance your memory, focus, and brain speed” by giving you access 18 different puzzles. The app is the result of dedicated research on the human brains and it is a perfect platform to recharge you brain. You can choose between three different levels of difficulties based on your choice so that you always have a challenge in front of you and you never want a way to give your brain a positive workout. As a user, you have the ability to track progress of your cognitive assessment. If you are feeling competitive, you can challenge your friends, too, which is not only fun, but also can help you finally prove to your pals that you are the smartest of the lot. 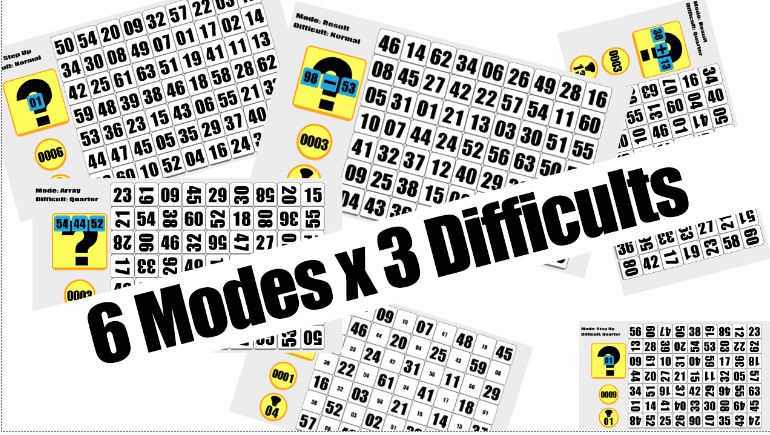 There are six modes available for the game that are Step up Explosion Mode, Random Explosion Mode, Timed Explosion Mode, Reverse Explosion Mode, Result Explosion Mode, and Array Explosion Mode. All of these modes comes up with addictive and challenging stuff that you have to complete. If you have an interest in playing the type of games that strengthen your brain’s fitness in ways that can help prevent Alzheimer’s and dementia, then 63 - Find Sixty-Three Numbers has games and tasks that are a perfect match for your choice. You can download this app free on your Android devices from the link at the end.